It’s been 65 years since the Supreme Court ruled in the historic Brown v. Board of Education of Topeka decision that racial segregation in public schools was unconstitutional. That landmark ruling, the outcome of 13 courageous black parents’ challenge to an unjust public education system, was a milestone in the civil rights struggle. But if you thought the battle to end discrimination against black and Hispanic kids in public schools was won, guess again: Communities are still being fractured by race in Connecticut, where children are routinely denied educational opportunities based on their skin color. The irony is that this time the discrimination is not the result of blatant racism. The law intended to correct education injustice against marginalized kids is actually blocking their access to safe quality schools and educational opportunities by implementing a rigid quota system that actually perpetuates discrimination. The painful reality is Connecticut’s education system is failing black and Hispanic children who need access to quality opportunities. It’s a classic case of unintended consequences. As a result, Connecticut parents have filed two federal lawsuits challenging the constitutionality of the state’s racial quota system that’s led to children being turned away at the schoolhouse door. Taken together, these two cases could end up being the Brown vs. the Board of Education of the 21st century. The first, Robinson v. Wentzell, was filed last year by black and Hispanic parents who felt compelled to challenge Hartford’s discriminatory system that is blocking their kids’ access to a quality education. The second case, Connecticut Parents Union v. Wentzell, was filed last month to challenge the statewide law that created this unjust system. How did we get here? The current system is rooted in both a 1969 racial imbalance law and a decades-old civil rights case, Sheff v. O’Neill. Both laws ordered the state to address the lack of integration in Connecticut schools. In response to the Sheff case, the state established a system of high-quality magnet schools to help black and Hispanic families get their kids out of failing local schools. However, there’s a catch: state law requires those magnet schools to limit black and Hispanic enrollment to 75 percent of the student body, reserving the remaining 25 percent for white and Asian students. Schools that fail to meet those proportions can face financial penalties or even be forced to close. But the reality is that the 75 percent standard leads to kids being denied admission to quality schools, even when ample space is available to accommodate them. If a school doesn’t have enough white or Asian applicants to fill 25 percent of the classroom seats, those seats are simply left empty — even if there are black and Hispanic families next in line to attend the school. It’s a painfully unjust application of the law, and we realized our children have rights, too. As a result, we parents felt compelled to challenge this state law on constitutional grounds. It’s disheartening to know the charge to protect these unjust racial quotas is led by the NAACP Legal Defense Fund, which is defending the state’s de facto policy of discriminating against black and Hispanic children. For a black parent like myself, there’s no pleasure in taking a stand against a historic organization with a proud history of standing up for those who couldn’t stand up for themselves during the earlier civil rights era. They and other defenders of the quota system may have the best intentions, but they’ve painfully misjudged what’s best for underserved kids. It’s time to restore justice to public education, and that begins with rejecting Connecticut’s rigid racial quota system that divides students into demographic groups and then denies educational opportunities to some based on their skin color. Every child deserves access to a safe, quality educational experience. 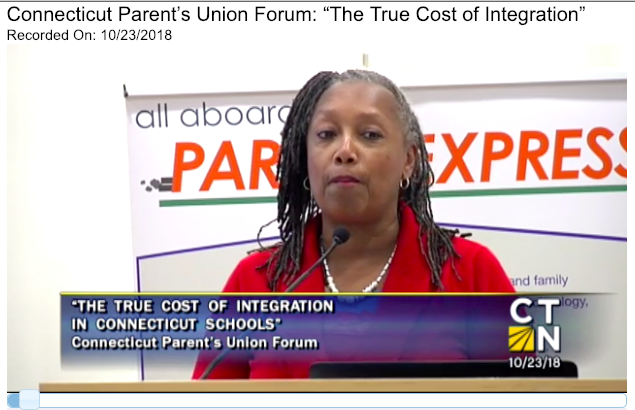 Gwen Samuel is president & founder of the Connecticut Parents Union. · Senate Bill 580 (or identical bills SB 583, HB 5176, HB 6193) (An Act Prohibiting the Disaggregation of Student Data by Ethnic Subgroups in the Public-School Information System). 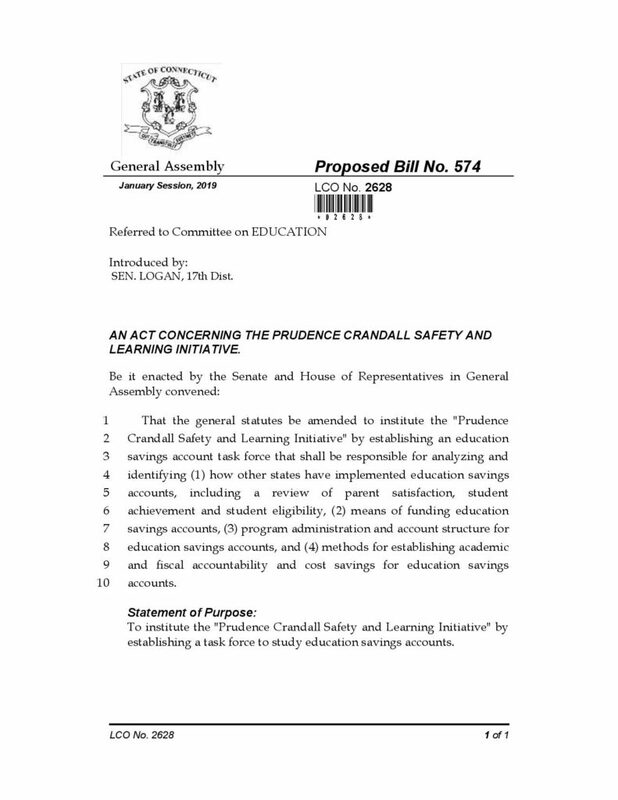 Both bills intend to ensure every child in Connecticut receive access to a safe school environment and a fair chance for a quality education, regardless of their skin color or ancestors’ nation of origin. Education is a pillar of freedom. As a result, lawmakers and public schools should focus on each student as an individual rather than their racial or ethnic group they belong to. Any attempt at racial/ethnic quotas is always counter-productive: a superficial “diversity” often resulting in losing focus on real issues, such as un safe and/or failing public schools. In addition, it exposes our children to prejudgments and stereotypes because of their racial/ethnic profile, and more dangerously, puts one group of people against another. This fractures our already divided communities and fosters isolation, fear, and hatred. If you care about all children, we strongly urge you to sign this petition to bring these bills up for a public discussion. A public hearing would serve to discuss the role of race and ethnicity in our state’s public education system, which is a paramount issue throughout the country. Let us work together to give each child a fair chance at an improved quality of life by making our state, country and future generations more united for liberty and justice for all.